The #1 thing we do is differentiate you. No strategy is more powerful than a differentiated brand. And after three decades, no one does it like we do. We help CEOs and leaders polish their vision like a diamond. Then we bring it to life in the brand with naming, taglines, brand story and our signature Micro-Scripts. Next, we align the elements on your website, launch materials, advertising and more. The result: people aligned and inspired by a winning brand. Was:The hosting company with Fanatical Support. Now: The #1 Managed Cloud Company. Was:Data backups where you keep the key. Now: The CyberSecurity Suite for Main Street. Was:Private Wealth Management Firm, merging with two new entities. Now: Pathstone: The Modern Family Office. –	Where traditional service meets innovation that’s unique to wealth management. Was:Un-named Aerodynamic Tail Device for Semi-Tractor Trailers. Now:The Tail that’s #1 in ROI for the Life of Your Trailer. Was:Soft-foam headsets for mobile VR. Now: The Future of Toys. Now:MapleMama. The first soft drink 100% sweetened by Mother Earth. — Imagine a Sweetener that’s good for you! 100% Sweetened by Mother Earth. Was:Like a gym membership for Geeks—the place for start-ups. Now: Texas #1 Co-Working Space. 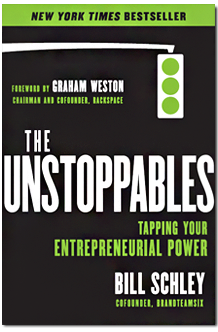 Eco-Systems Make Entrepreneurs—and We Are the Center of the Eco-System. Was:A culture tool for office managers to give employees. Now: Pingboard: The First Real-Time Org Chart. The Org Charts with Superpowers! Was:SaaS Video Platform for Educators and Trainers. Now:Vidrid: Video’s Most Interactive Platform. Was:Software to connect service reps with customers on social media. Now: The #1 Integration Platform for Social Media and Customer Care. –	Now repsmanage one relationship on one screen for all channels. Was:Cloud powered sales automation tool for inside sales reps.
Now: The World’s #1 Phone Intelligence Platform. –	The next-generation of sales automation – no new phones required! Was:Automating doctor credentialing and staffing for agencies and hospitals. Now: The Mobile Revolution in Medical Staffing. The mechanics of vision are the same tools experts use to find the heart of any brand: what we call a Dominant Selling Idea. We ask master aligning questions like: “What does the world need us to do that only we can do? What do we solve for? What are our “Onlies?” What good thing now exists in the world, only because we made it? + 1. Category – Vision leads to a category you own—shortcut to Extreme Differentiation. Learn more. For a vision that differentiates you and leads you, you must know the true business category where you can be #1. 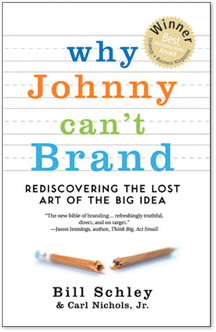 If you’re not #1 in a category, branding’s most powerful fix is to define a new category to be #1 in. Suddenly you have a new story. You’re differentiated automatically. It’s done everyday– but ONLY by companies whose vision is diamond sharp. The victory is always in the vision. That’s why our category process starts with vision questions first. + 2. Binary Frame – We name and frame your competitors’ category. Learn more. Think of “Cola vs. The Un-Cola.” This gives you the most dramatic contrast in words that customers and the press can repeat. + 3. Facts of the Difference – No claims or opinions; just facts. Learn more. We string together an arc of specific, simple facts about your category vs. competitors that customers recognize and agree to be true. These facts are then used to tell a story only you can tell. + 4. Brand Story – We write a one-page narrative—the blueprint for everything. Learn more. This is a critical one-page narrative—an extended elevator pitch that tells your story in a sequence: “Once the world was like this. But there was a problem. So a company decided to fix it. Here’s what they did. Now the world is better.” The Brand Story triggers emotion that motivates buyers because it shows how the pain will be taken away, how new opportunity will be realized or how life will be made better in a way no other brand can. It is the blueprint for all communications going forward. It includes names, taglines and Micro-Scripts. + 5. 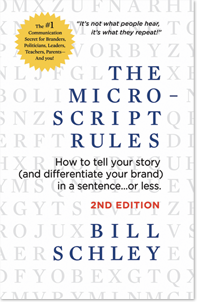 Micro-Scripts – Your key messages, vividly told in a sentence or less. Learn more. A Micro-script is a verbal “instant message” that people like to repeat, word-for-word, to inform or influence others. It usually contains a vivid metaphor or rhythmic language. It tells a story, or a key piece of one in about a sentence or less. It’s the quicker picker upper! If it fits, it ships. It’s made from sugar so it tastes like sugar.